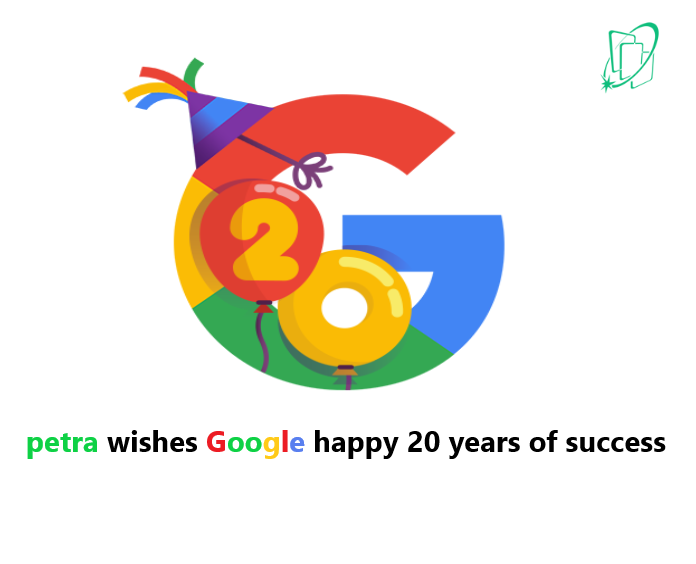 Happy Birthday Google , Google celebrate 20 years of Success - Petra Software Ind. Happy Birthday Google , Googol this huge number that turns to “Google” the company with the highest value globally , that it’s capital could exceed Some Countries general State budget Celebrate its 20 years of success. Google is not just its search engine ,Google provides Services exceeds 100 service with annual increase. Google Pixel Watch will be released fall 2018 . “ Happy Birthday Google “ and we wish you another 20 years of Success. ← We looking For a partner of Success !